When one is used to the local means of transportation in his/her hometown, he can't but expect the same when traveling abroad. However, if you are well aware of the bus and metro hours, know how to catch a taxi in the rush hour and not overpay, you can never be so confident abroad. The moment you step onto a foreign country and need to get to your destination, you will feel how profitable it is booking a car beforehand. 8Rental suggests hiring the vehicle that best meets your requirements and budget in any European country. Once you rent a car with driver in Hungary, you will get free from standing in queues for metro or train tickets, being stuck in an overcrowded bus or "getting a bankrupt" by paying expensive local taxis. 8Rental is one of the most honest chauffeur services in not only Hungary but also in entire Europe! 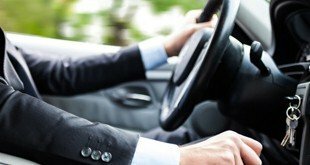 Entrusting your transportation to a professional driver behind a luxurious vehicle is the right decision you can make right away! Just get a quote, complete the necessary lines and have the car you book meet you right at the airport. We may send chauffeurs to Budapest Airport, Debrecen Airport, Győr-Pér, Nyíregyháza, and other airports. We are a generous car rental service and can provide you with the offer you are sure to appreciate. First of all, we have an enormous fleet of vehicles that you can choose. You can select any make to hire a chauffeur-driven car in Hungary. Choose the car manufacturer, the model, and the class - everything is at your disposal. All the vehicles are in excellent condition and set up with specifications to make your traveling comfortable and pleasant. Just the same way, you can rent a minibus with a driver in Hungary to travel with a group of friends, colleagues or your extended family. A Mercedes Viano or Mercedes V class will be an excellent variant for you if there are up to eight persons of you. In case you are traveling in Hungary with about twenty people, 8Rental recommends hiring a Mercedes Sprinter. This model will drive two dozens of passengers in complete comfort. At 8Rental car supplier in Europe, clients can book large couches, too. Remember to choose a Mercedes Tourismo when you need to rent a chauffeur-driven bus in Hungary. This model is great for organizing tours for tourists or students in the country. It seats up to sixty-five persons and is equipped with a series of amenities to enjoy every moment on the road. No matter how long your travelers will be obliged to be inside the bus, they will feel great! 8Rental has prepared something special for its VIP clients, too. Book a Chrysler c300 limousine and be fascinated with its lush interior. The neon lights, the top-grain leather upholstery, the premium entertainment system will make your little party memorable if there are only up to nine people. For a larger group, you'd better select a Cadillac Escalade or a Hummer H2. The glamorous interior and the stylish exterior of both models are what will amaze your travelers! Rent a limo with a driver in Hungary and get sure yourself! When hiring a vehicle from 8Rental car rental service, you can be 100% confident in the professionalism of our drivers. They are licensed, experienced and competent. Additionally, you can choose the driver yourself. If you need an English or even Spanish speaking chauffeur, we shall send him. There are also Dutch, Russian, French and German speaking drivers in the staff of 8Rental. Besides coherent drivers and premium vehicles, 8Rental has other aspects that make the company proud. First of all, it has employed a decent staff of workers who are ready to answer all your questions any time of a day. We are available 24/7, hence apply whenever it's convenient for you. 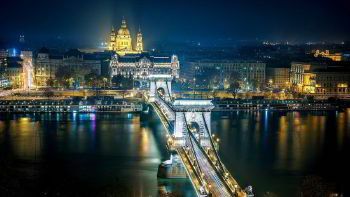 By entrusting your transportation in Hungary to our honorable service, you will be provided with free fuel regardless of the length of your tour. Medical insurance in case of an accident is free, too. Order a car with a driver and drive safely in any direction! It's impossible not to love Hungary. There are so many reasons to adore this country that once you visit the country, you will want to come for more. From one side you can't but admire the art nouveau architecture, while on the other side you will enjoy the thermal spas Hungary is so popular! Fun-filled big cities and gentle landscapes exist side by side attracting more and more tourists every year! Around four million tourists come here every year after both sightseeing and on business. 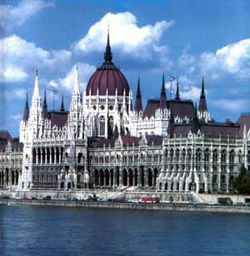 So, if you head to Hungary, rent a car with driver from 8Rental and enjoy the nightlife of Budapest, the unique attractiveness of Eger, the glorious Szeged, the healing Budapest's thermal baths, and other places of attraction. The more you explore Hungary, the more you will adore it!